Candy crush is the best game released in 2012 and also been the game of the year. Then why clone app? Secure your place in the alliance of game app makers, earn $$ and make them as your gateway to become rich. And if you are actually thinking about it, then MAADI (Mobile Application Development India) is your backholder. We get you with best clone apps that are applicable for marketing and promotion. Also get generate the best revenue and help you for better ROI (Return of Investment). We understand your difficulties involved to re-create the famous games. Our well-certified developers go extra mile to know your difficulties and they are well-equipped to develop a Candy Crush like games generating your revenue faster. At what time span can I get Candy Crush like games developed? The time estimation of the clone game completely depends on the specifications of the app, its variables. Approximately it takes up to 2 weeks. What quirks are possible for Candy Crush Saga like games? Firstly, game seekers if face challenges make them more addictive and helps them to explore new possibilities of the game. This can be the main reason to develop Candy Crush clone games. How do I monetize Candy Crush Saga like games? Create your app meaningful, i.e when you develop the clone game of Candy Crush Saga, you think not only for cloning, but also re-develop it with possible unique ways. Many a times, freemium or in-app purchase makes the gaming companies to earn HUGE revenues. 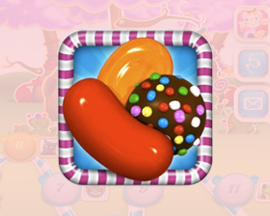 According to 9to5Mac, developers of Candy Crush estimated upto $63,000 in a day and reaches $230 million in a year. Estimation shows that in 2013, spending on mobile games with in-app purchases has driven upto 60% in U.S. to $16.5 billion. This gives the opportunity to develop such a game where users are ready to spend money. Even Ad integration can also be the great means to earn revenue. We are your helping partners to do it without spoiling your gaming experience. What strategies to market the Candy Crush Saga clones? We, at Vrinsoft have a complete team of marketing ready to leverage your game application with different marketing platforms like Chartboost, RevMob and others to their fullest. At the top notch - the game makes the users addictive to accept the summons to inspect new probabilities of the game. If you want more than this, we are here to accept the challenge to develop a game very similar to Candy Crush Saga.